De'Mornay Pierson-El pulls away from Purdue's Landon Feichter. PUR: A.Hunt 21-66; A.Appleby 7-23; K.Green 1-18; R.Mostert 2-14; D.Anthrop 1-3. NEB: T.Armstrong 13-70; I.Cross 20-66; T.Newby 9-42; J.Nelson 1-4; A.Abdullah 6-1; TEAM 2-minus 4. NEB: Armstrong Jr., Tommy 8-21-2-118. PUR: Hunt, Akeem 7-43; Anthrop, Danny 4-80; Posey, Cameron 3-44; Sinz, Justin 2-22; Holmes, Gabe 1-23; Monteroso, Dan 1-4. NEB: Westerkamp, J. 3-58; Pierson-El, D. 3-49; Newby, Terrell 1-6; Bell, Kenny 1-5. Defense, special teams carry Huskers: It wasn’t pretty on offense, but No. 15 Nebraska’s special teams and defense provided big plays and short fields in a 35-14 win over Purdue. Purdue outgained Nebraska 340-297, but total offense did not tell the story of the game. The Big Red blocked two Purdue punts and converted both into touchdowns in the first half. 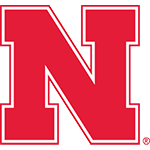 The Huskers played most of the game without running back Ameer Abdullah, who was injured in the first quarter. Joey Felici, Josh Banderas and Kieron Williams tackle Purdue’s Raheem Mostert. It turns out I was a bit too kind last week when I said Nebraska’s offense is ‘at best a Grade B unit’ with Abdullah out of the game. People obviously aren’t upset with an 8-1 start, but I think it's the fear of what’s to come. Some good, some bad, more of the same. And Armstrong will be the first to tell you that’s not good enough. Questions from week one still linger after week 10 about the consistency and sloppiness sometimes evident with the Huskers. The Huskers showed again they have a Big Ten championship-caliber defense. But the other side of the ball? Oh boy. Here comes the homestretch, and it looked like the Husker offense dropped its whip. The Huskers have championship talent. But not nearly enough championship execution. Pelini used the word ‘sloppy’ in his postgame remarks – a word that needs to be systematically deleted in the weeks ahead.